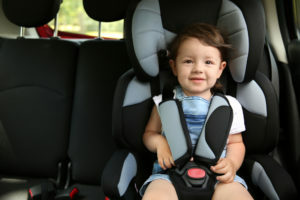 Car seats do an excellent job of protecting babies and young children during auto accidents. In fact, when properly used, car safety seats can reduce the chance of death in infants under one-year-old by 70%, and toddlers between one and four years of age by 54%. Yet, here’s a fact most people don’t know: a car seat is meant to be a one-time use product. Obviously, that doesn’t mean a child should only ride in it once. What it means is that car seats are designed to protect a child through only one crash. 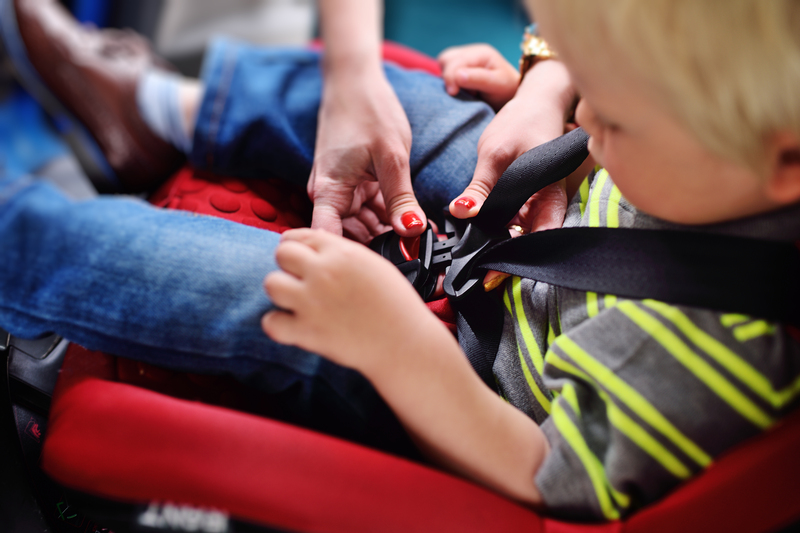 Once a car seat has gone through an auto collision, it needs to be evaluated to determine whether it still has the structural integrity to protect your child form the forces of another crash. This can be determined in several different ways. The decision to replace a car seat after a collision is often determined by the severity of the crash. Initially, the National Highway Traffic Safety Administration (NHSTA) recommended the replacement of car seats after all car crashes. They recently changed their policy, and now recommend automatically replacing a car seat after a moderate or severe crash. If the crash is minor, the seat can be tested for damage to determine whether it needs replacing or is still capable of protecting the child. The vehicle was driven away from the crash site. If the vehicle had to be towed, the car seat should be replaced. The door closest to the car seat did not get damaged. If your vehicle has three rows of seats, as with mini-vans or SUVs, and the car seat was installed in the rear row, the closest door is in the second row or a back door. Nobody was injured in any way during the collision. None of the airbags – including front, side curtain, seat belt, seat side, and knee bolster airbags – were deployed during the collision. The car seat has no visible damage; no cracks, creases, stretched webbing, stress marks, broken stitching, or broken pieces. These criteria must be met even if a child wasn’t riding in the seat during the collision. Empty car seats buckled in place still have to withstand crash forces at the belt path. When vehicles suddenly come to a stop due to a crash, the car seat is thrust forward while also being held back by the seat belt or latch belt. Depending on how much force is applied during the collision, it can cause sufficient damage to keep the seat from being able to protect the child if another crash should occur. If you use multiple car seats in your vehicle, each needs to be independently evaluated to determine if replacement is needed. Depending on the damage to the car and the location of the seat, it’s possible one seat will have to be replaced while the other won’t. For example, assume you have two car seats in the second row of seats – one next to the right door and one next to the left. If damage occurred on the right side but not on the left, and if all the other criteria for a minor crash apply, you would need to replace the seat on the right but not on the left. How Do You Know if Your Car Seat is Still Safe to Use? Often the damage to a car seat is obvious, even after a minor collision. Sometimes damage can occur that isn’t always obvious to the naked eye. Certain types of scans and x-rays can uncover hidden damage, but these often cost more than the price of a new car seat. The first place many parents turn is the manufacturer’s instructions for the car seat. Many manufacturers state that their car seats should be replaced after any auto collision, including a minor one. Others recommend using the five criteria as outlined by NHSTA. While this information can be helpful, you don’t know for certain that the car seat is still safe to use. In this case, the safest course of action is simply to replace the seat. The only way to know for sure that a car seat is safe after a minor collision is to take it to a certified car seat technician. The National Child Passenger Certification Training Program certifies people as child passenger safety technicians and instructors. Over the past 20 years, the program has trained and certified more than 125,000 people in the U.S. as child passenger safety (CPS) technicians. You can find them in hospitals, fire departments, police departments, health departments, and traffic safety advocates like AAA. If you go to a hospital, police station, or fire department, don’t assume everyone there is a trained CPS. Make sure the person who inspects your car seat has earned the certification. Who Pays for the Damaged Seat? The cost of replacing a car seat can be a burden to many families. In fact, one reason the NHTSA changed their recommendation was out of concern over the cost of buying a new car seat. Parents who couldn’t afford a new seat were often buying used seats – with no way of knowing if they were safe – or simply keeping the old seat. If you need to replace a car seat, check with your auto insurance company about reimbursement. Car seats are required in all states throughout the U.S., and most insurance companies will reimburse you for the full cost of the new seat. In the end, it comes down to the safety of your child. If you get involved in a moderate or severe collision, the answer is simple – replace the seat right away. If you can, have the seat inspected by a certified Child Passenger Safety technician. If there are none available in your area, make the right choice and purchase a new child car seat. After all, how do you put a price on protecting the safety of your child or children?